Till the time CHSE Orissa Plus 2 (Class 12th) Results 2014 not announced, students can logon to odisha12.jagranjosh.com and can register their details over there to get the Orissa Plus 2 Results 2014 alerts on their mobile and email. The CHSE Odisha results 2014 of the annual +2 Arts, Science and Commerce results (www.orissaresults.nic.in) would be declared simultaneously at 10 am on Saturday. The statistics state that a total of 3.25 Lacs students appeared for the Orissa Higher Secondary Education Exam 2014 (Odisha Plus 2 Exam 2014) that were conducted across 1078 centers. The figure includes students from all the streams: Arts, Science as well as Commerce. This year, the number of malpractice cases has doubled in comparison to last year. More than 4,300 malpractice cases have been registered this year against around 2,600 cases in 2013. 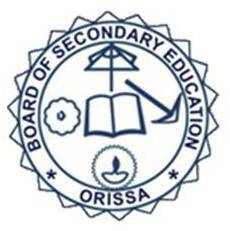 The Council of Higher Secondary Education (CHSE) Orissa conducts the Annual Higher Secondary Examination 2014 for the Arts / Science / Commerce / Vocational Streams every year.